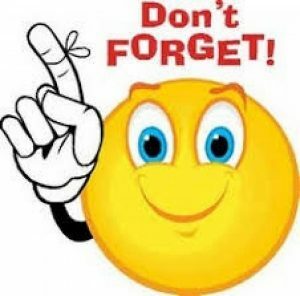 Don’t forget to apply for 4-H trips, scholarships, and more by completing achievement awards. All youth ages 14 and up should consider applying for consideration for the Ohio 4-H Achievement Award winners. Youth in grades 7-9 would be eligible for Leadership Washington Focus. High school age youth are eligible for Citizenship Washington Focus. The same application is used for the achievement award consideration and scholarships. Applications are due Feb. 1 at the latest. For a description of trips, please click here. For the trip and scholarship application, please click here. You will be able to open this in a word document. Are you interested in applying for a 4-H trip? 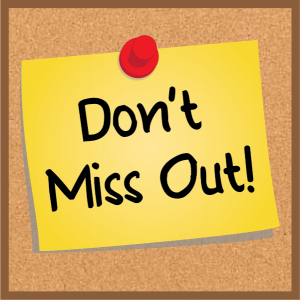 There are several opportunities including Leadership Washington Focus, Citizenship Washington Focus, Leadership Camp, or Ohio Forestry Camp. There are also state opportunities including State Jr. Fair Board, and OTA Local Government Award to name a few. The same application is used for county scholarships. 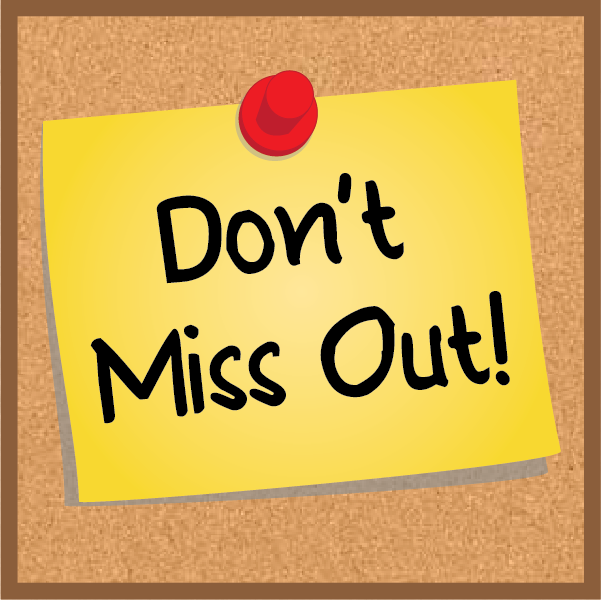 Trip and scholarship applications are due to our office by February 1. The cover page for scholarships is posted here. Greene County Farm Bureau will award up to two $1500 scholarships for the 2017-2018 academic year. The scholarship recipients will be recognized at the Greene County Farm Bureau 2018 Annual Meeting to be held in August. Greene County Farm Bureau will select recipients from the applications that meet the mandatory criteria. A scholarship selection committee, appointed by the Greene County Farm Bureau board of trustees, will evaluate the scholarship applications and present their recommendations for the awards to the board for approval. From the applications, the committee will evaluate each candidate’s academic performance, agricultural involvement and activities. 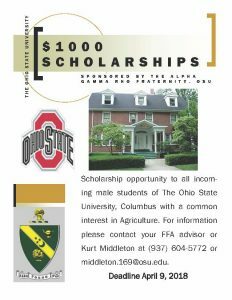 Applicant must be an active member of Greene County Farm Bureau when applying for the scholarship, or have a parent, grandparent or guardian who is a Greene County Farm Bureau member. Applications must be submitted on or before April 15, 2018. Click here to complete the 2018 Scholarship application. Click here for the complete guidelines of the application. Click here for the Letter of Recommendations application. 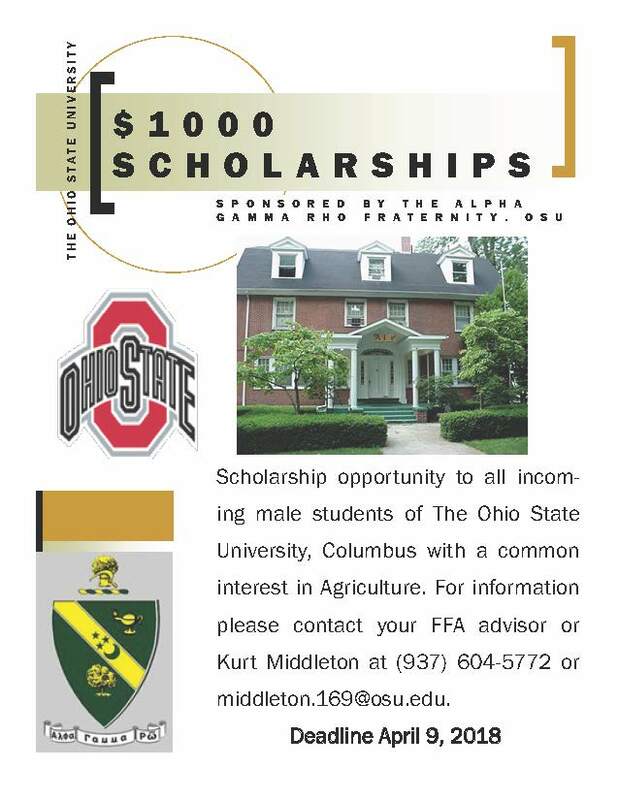 Questions concerning the Better Men Scholarship should be directed to Better Men Scholarship Chairman Kurt Middleton at (937) 604-5772 or email middleton.169@osu.edu. Students applying for the better Men Scholarship are in no way obligated to join Alpha Gamma Rho to be eligible for the scholarships. Thank you for your time and consideration.